No More Waiting Rooms! Have your doctor visits online! Waiting room visits involve more than being seen by an actual doctor. There’s the drive to the office, which can be lengthened by slow-moving traffic, signal lights or even a detour or accident. Then there’s the wait: even if the waiting room isn’t at least half-full — and it usually is — the doctor never sees you right away.Then there’s the anxiety. If it’s a simple check-up, it’s no big deal. If you’re being seen for something more serious, your nerves will work you like a speed bag. It’s no picnic for the doctor, either. Every appointment is a procedural affair: charts, labs, check-up, diagnosis, prescriptions. The doctor is tasked with delivering not-so-good news or reassuring his or her patient that everything will be just fine. Chat Live MD uses secure and encrypted networks to connect you with U.S.- based board-certified medical professionals. Also, since it’s an online, its fast, simple and made to happen on your terms. 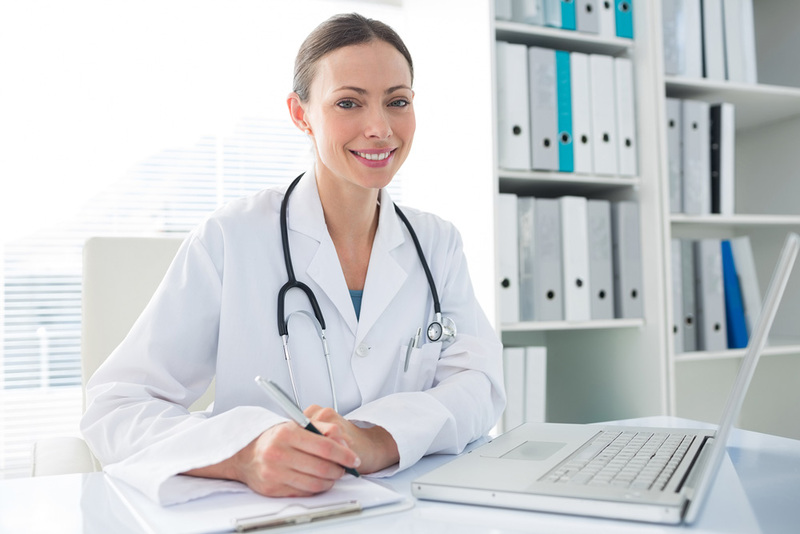 Online doctor visits with Chat Live MD can get your medical questions answered, evaluate your condition, and even give prescriptions* if medically necessary. To begin you have to become a member, which is conveniently fast. If you have insurance, enter it into our easy to use system to check that your doctor visit online may be a covered benefit on your plan. If you don’t have insurance you still can take advantage of being able to see a doctor anytime, anywhere. Once you are in the system, you can at anytime sign in, you’ll see the specialists you need who will be in your state. Need to return later? Simply bookmark a specialist’s profile. Online doctor visits costs much lower than your standard office visit with NO CO-Pay. him or her – eye to eye! Amid your session, the specialist can audit your wellbeing history, answer questions, survey your condition andeven endorse prescriptions* if necessary. After every session, you can rate your experience and send a record from the Chat Live MD framework to your consistent specialist. An online doctor visit costs much lower than your standard office visit with NO CO-Pay. We have prices to cover individuals and families (see our affordable pricing). Also if you are insured the telemedicine payment is reimbursable. If you are not insured the payment is low enough not to affect your everyday standard of living but you still receive the same quality health care. Nearly $4 billion: that’s how much America spends on healthcare. One way to reduce this cost while increasing patient interaction and improving preventative care is through telehealth. This medical advance is predicted to increase by $5 billion in the coming five years. Because it can cover about 70 percent of physician appointments and 40 percent of trips to the emergency room, it is a potential solution for reducing healthcare costs. This isn’t some pie-in-the-sky concept that requires advances in high technology. 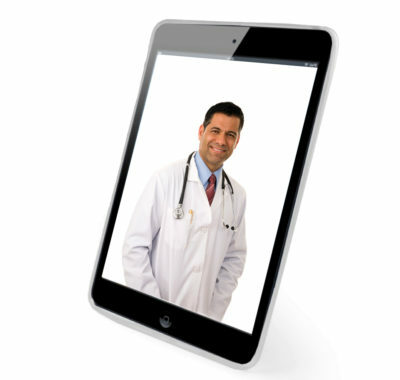 Online doctors visits also known as telemedicine is a healthcare alternative that is available now. However, changes are needed in everything from physician scheduling and patient interaction to insurance reimbursement before telehealth works smoothly for both patient and doctor. Telemedicine offers several advantages and challenges. Telehealth frees up the physician’s material resources such as the waiting room, staff such as nurses, and time. Instead of rushing from room to room and trying to glance at a patient’s medical records, the physician is able to sit behind the desk, examine patient information more thoroughly, and click through on his desktop to see patients and chat with them online via video. The average appointment time of half-an-hour to an hour goes down to ten minutes or less. This savings in overhead reduces the doctor’s costs, which ultimately translates to lower medical bills for the patient. The process of making appointments by phone, traveling to the physician’s office, and scheduling follow-ups take both time and effort, which can frustrate patients so much that they avoid tending to their health needs. Online doctors visits provide one-click access to scheduling and avoid physical travel, allowing patients to more easily integrate health care into their hectic lives. Companies that focus on online doctors visits, such as Chat Live MD, join with healthcare systems and insurance companies to develop additional health options for their subscribers. This increases communication between telemedicine providers and their members, allowing for greater awareness, knowledge, and eventually, acceptance of the service. Location can be a significant barrier to quality health care, not only for the elderly and disabled who can’t reach local doctors and hospitals because of lack of transportation but for a patient that needs a specialist who may be practicing halfway across the country or on the other side of the world. Telehealth eliminates that disadvantage by allowing anybody with an Internet connection to contact any physician virtually. You can literally consult with the exact medical professional who specializes in your condition. According to Medicare, the new CPT code 94490 gives greater reimbursement to doctors who are in the process of “developing and implementing a care plan for a patient with at least two chronic conditions that are expected to last at least 12 months or until the death of the patient; or that place the patient at significant risk of death, acute exacerbation/decompensation, or functional decline…” About a quarter of the nation’s adults suffer from multiple chronic conditions. Their care represents about two-thirds of the national spending on healthcare. Using telemedicine to treat these multiple conditions reduces doctor and patient time as well as office overhead. How much time do patients need to take off from work to schedule appointments by phone, follow up on their care, and travel to and from their physicians? As patients become sicker, they may use the emergency room too much, taking more time from work and costing their employers more money. With telehealth for business, workers don’t even have to leave the office to chat with doctors online, which avoids the loss or productivity and costs, employers less.